Deebee’s was the standout ‘pop star’ at the Canadian Health Food Show East tradeshow. 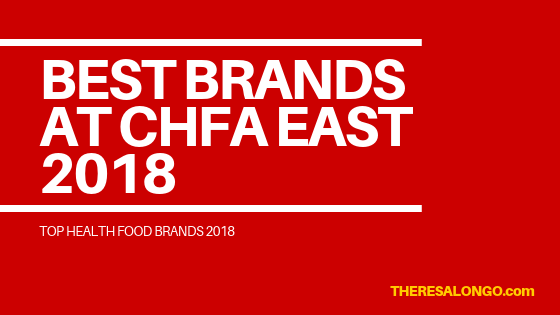 The CHFA East show is the biggest event celebrating natural health products in Canada. 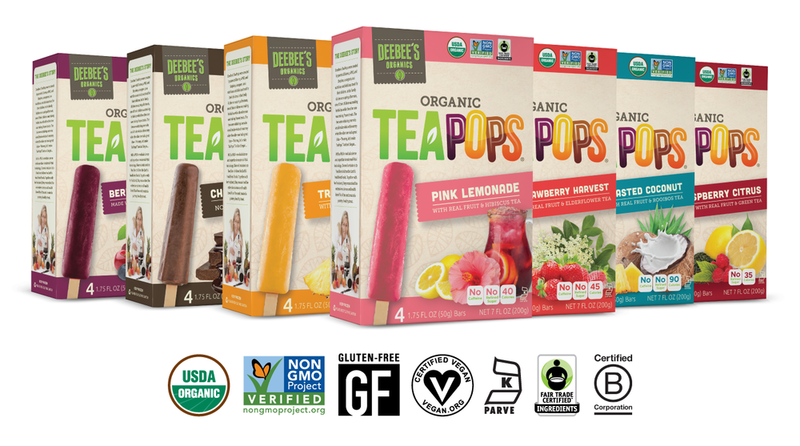 Deebee’s Tea Pops are the best tasting popsicles and freezies you’ll ever try, and they are made using completely natural ingredients with no added sugar. Deebee’s can boast, “We craft our TeaPops and all of our products with real ingredients. No antibiotics, no hormones, no chemicals, no pesticides, no preservatives and no genetically modified ingredients”. AMAZING! Tea pop flavors include Raspberry Citrus or Berries & Cherries or my favorite: strawberry harvest. These pops melt in your mouth and really taste so good. Wonderful news for all you chocolate fans, Deebee’s makes a chocolate pop too! I got to try out a new product from Deebee’s that was equally as delicious and refreshing as the tea pops I have come to seek out at the store: SUPER FRUIT FREEZIES! 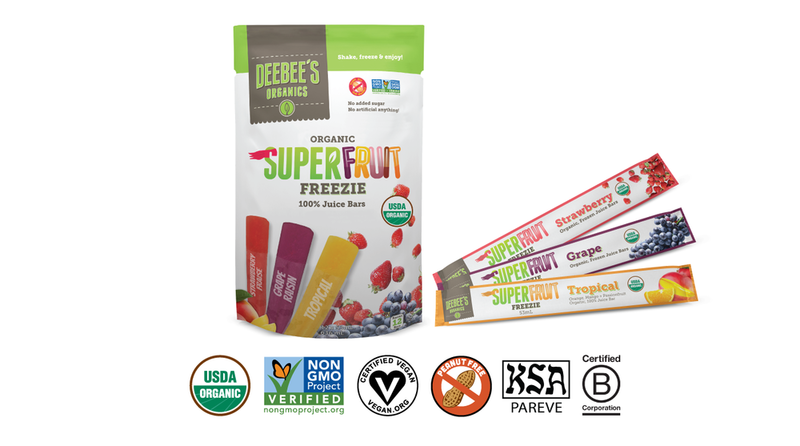 ” DeeBee’s Organics’ Super Fruit Freezies are the first 100% organic, freeze-at-home juice bar that has no added sugars, artificial flavours, colours or preservatives. In each bag you’ll get three delicious flavours the whole family will enjoy – Tropical, Strawberry and Grape! I tried all 3 flavors of Deebee’s Superfruit Smoothies and honestly love them! Deebee’s fruitpops are so simple yet definitely required in a world where foods are being modified and altered so radically. Deebee’s fruit pops take it back to nature! 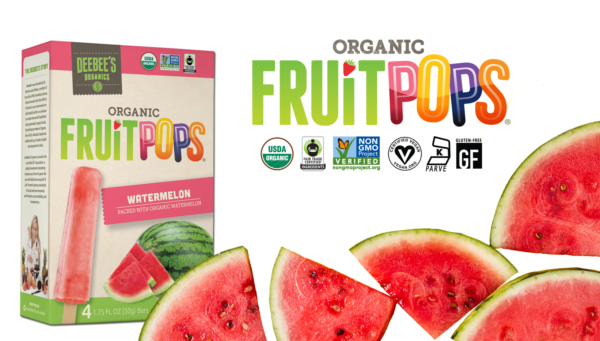 These pops are made by scooping watermelons and arranging them on a stick. PERFECT AND SWEET! Win your own Deebee’s product by SHARING THE LOVE. 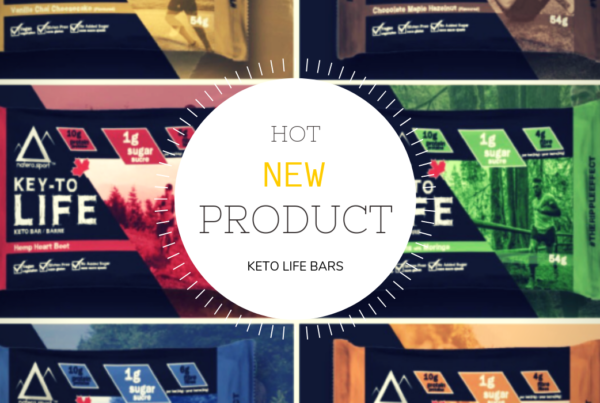 Share this post to automatically be entered to WIN a free product from Deebee’s. 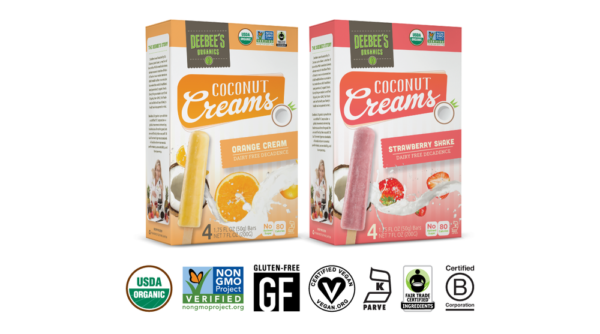 Vegans and non vegans LOVE the taste of Deebee’s coconut creams! Deebee’s coconut creams are heavenly. These make being vegan easy. They are so creamy and full of natural flavor. 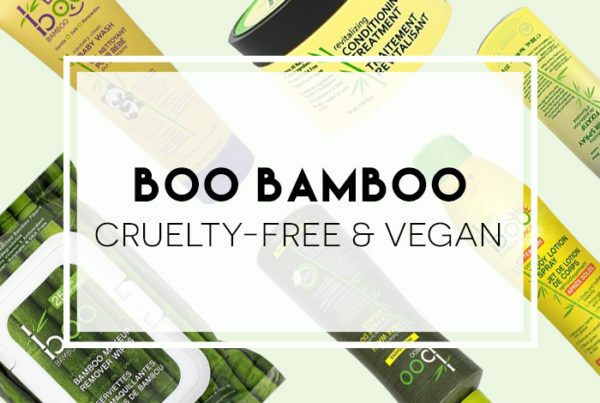 It really is easy to be vegan with decadent Deebee’s Coconut Creams! 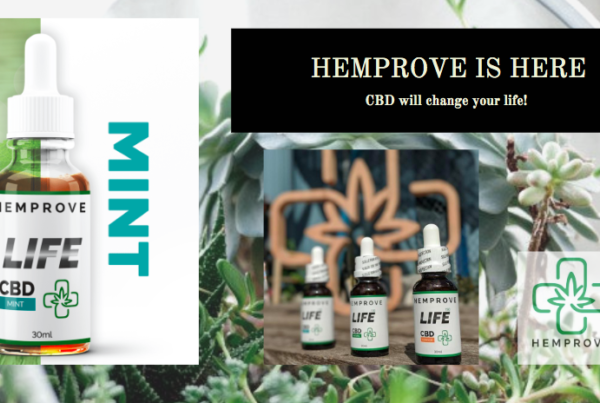 CHANCE TO WIN FREE DEEBEE’S PRODUCT COUPON! Share this post on social media platforms to be entered to win.